If my calculations are correct, I’ve managed to sit through 53 films at the cinema in 2018. Now I’m doing a PhD I can call this work. The only real criteria for my list was that it had a theatrical release in the UK during 2018 hence a few leftovers from Oscars and a few seen during the London Film Festival back in October. This list can’t be worse than the Oscar nominations… can it? Ever the excellent actor, it turns out that Paul Dano is also ever the excellent director. Scripted by Zoe Kazan, Dano’s debut Wildlife is a poignant examination of 1950s suburban suffocation and fractured marriage through the unique lens of an only child caught between forces well beyond his control or comprehension. Hollywood heavyweights Jake Gyllenhaal and Carrie Mulligan clash as the warring couple with very different hopes for the future, while Ed Oxenbould sits between them as the conflicted teenager. Dano’s film is at once emotionally raw and unflinching, but also tender, glacial and lacking in the bleak misery one would expect with such a domestic drama. 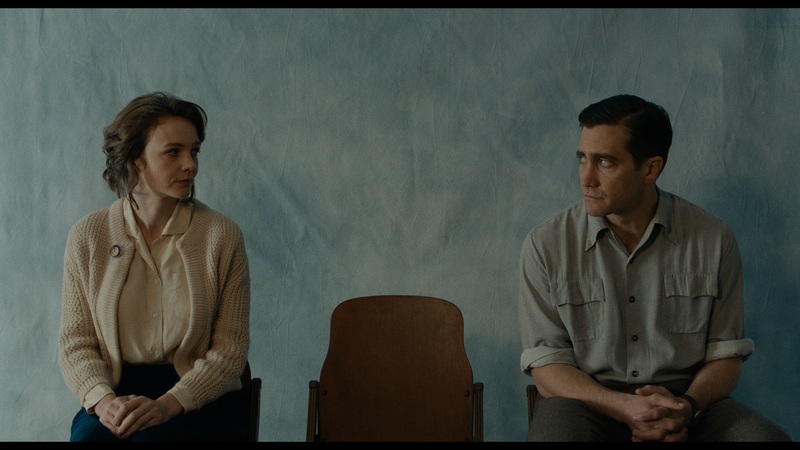 Instead Wildlife is an understated take on domestic challenges, pushing for something far more measured and familiar than an obvious melodrama. Mulligan and Gyllenhaal, as Jenette and Jerry respectively, appear as obstinate, selfish adults incapable of compromise or rational action ironically leaving their son, Joe as the only one acting like an adult. Like Revolutionary Road or All That Heaven Allows, Wildlife is another successful deconstruction of the empty promises of mass consumerism and the American Dream. From the warmly lit box houses to the sweeping townscape shots basked in a misty autumnal glow there’s a melancholic beauty to Wildlife that raises its drama above the drab and dour. When middle-class Moll (Jessie Buckley) falls in love with the rugged working-class Pascal Renouf (Johnny Flynn) a fairy tale romance appears to be in the offing. Yet on the mysterious liminal island of Jersey all is not quite as it seems. Beyond the obvious class tensions emanating from Moll’s family, a repulsive exaggeration of the worst middle-class snobbery, is the lingering fear that the enigmatic Pascal may be the serial killer terrorising the rural planes. Superficially the narrative is centred on the mystery of Pascal, but director Michael Pearce is alive to a much greater, primitive sensuality hinted at in the title. Beast is not Pascal’s film, it is Moll’s and Jessie Buckley is revelatory in the role. Her wild frizz of ginger hair anticipates an animalistic primacy trapped inside her and stifled by her suburban existence. Pascal is a return to the earth and soil, living off the land and becoming one with the natural world. The question throughout is whether Moll can accept such a change and just how far she will go to reject modernity? Utilising the surreal edge of Nicholas Roeg, Beast is a hypnotic psychological-thriller far more fascinating than its murderer-mystery premise suggests. Two young professionals go on a stag-do hunting stags in the Scottish Highlands – what could possibly go wrong? Just about bloody everything in Matt Palmer’s simple yet stomach churningly taught Netflix thriller. 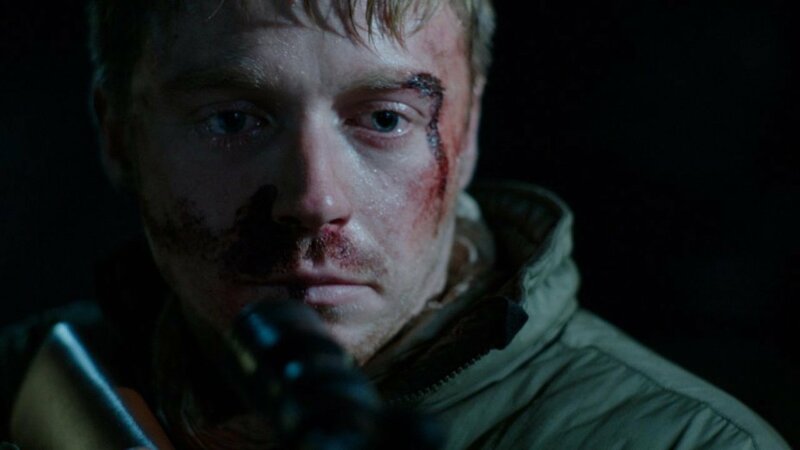 The duo of Vaughn (Jack Lowden) and Marcus (Martin McCann) are two sides of the same coin; the former always erring on the cautious while the latter is always pushing the boundaries of acceptability. Much like American Animals, we, the audience, are caught identifying between the comfortable safety of one and the wild adventurous streak of the other. There’s a nightmarish inevitability as the narrative takes a darker turn and our protagonists’ control of the situation drifts beyond all remedying. The locals’ threatening presence sets in motion an other worldly oddness attuned to the pagan islands of The Wicker Man or insidious villagers of Hot Fuzz. This isolated lawless environment, fraught with violence, becomes a sight of torturous trials for our unsuspecting city boys. While it’s an extraordinary situation at play in Calibre the realistic, almost documentary, nature of proceedings makes it all the more horrifying and relatable. With each passing scene and choice the tension shifts up a notch leaving the viewer in cold sweats and hot fevers, but thankfully marooned in the safety of our home unlike our poor tormented protagonists whose every decision becomes imbued with deep moral consequences. Cinemas are noisy old places these days, people talking and texting, when they’re not in the wrong seats or throwing popcorn around, but A Quiet Place had the power to completely silence the auditorium. John Krasinski’s sci-fi horror-come-thriller was just about the tensest cinematic experience imaginable. With the invasion of human savaging insectoid aliens that stalk the prey through noise (they’re completely blind) earth has been reduced to a silent world. After losing one child to these violent creatures, Lee (John Krasinski) and Evelyn (Emily Blunt) along with their other two kids fortify themselves in monastic silence on an old corn farm. Of course danger is inevitably round the corner, but it’s how delicately and meticulously Krasinski crafts his thrills through the sound vacuum that’s exceptional. A loose nail on the stairs, a battery operated toy and a heavily pregnant Emily Blunt are all obvious and ominous dangers. Taking a page out of Hitchcock’s playbook, Krasinski’s gives the audience the foreknowledge of these metaphorical ticking timebombs in order to multiply the tension tenfold. A Quiet Place is nothing but cold hard thrills and its got them in abundance. 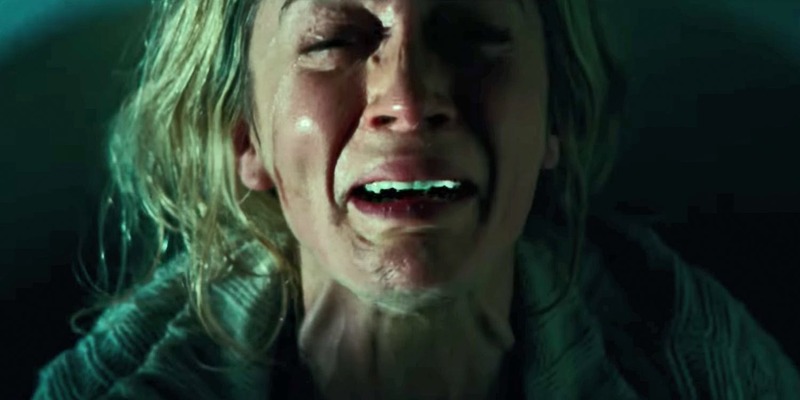 Cinematographer Darius Khondji called Lynne Ramsey one of the greatest living filmmakers and based on You Were Never Really Here there is a certainly a compelling case for the accolade. Ramsey is pure cinema, totally in tune with how the fundamentals of the medium can be used to uniquely create a story and atmosphere. Ramsey plunges us headlong into the fragmented psyche of muscle for hire Joe, his mental state reflected in his dishevelled appearance of an unkept beard, greasy ponytail and bloated gut. Through Joe Bini’s superficially erratic editing we are privy to Joe’s recurring memories, or, perhaps more fittingly, traumas. Ramsey supplements these visual cues through Johnny Greenwood’s impacting soundscape. Greenwood, of Radiohead fame, supplants his deft classic compositions on Phantom Thread for an aggressive electronic cacophony alive with the nocturnal urban sprawl. With Joaquin Phoenix, like Tilda Swinton in her previous film We Need to Talk About Kevin, Ramsey has an enigmatic and charismatic central totem that allows her to weave her visceral, methodical magic. 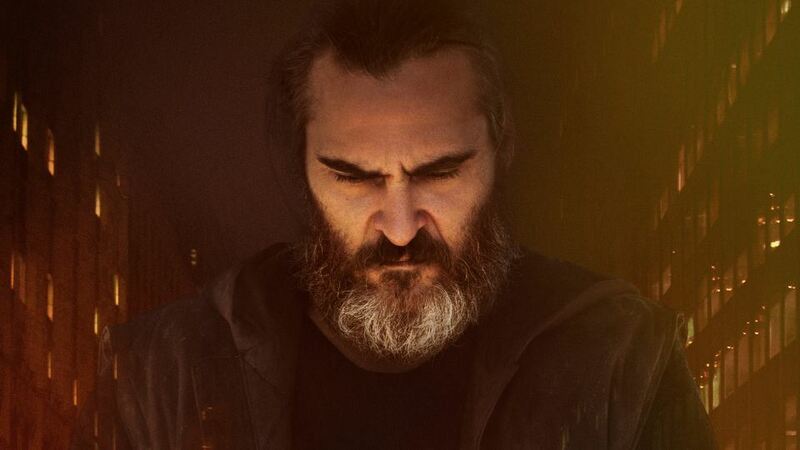 An extension of New Hollywood’s character driven dramas, You Were Never Really Here is an immersive odyssey capable of redefining the parameters of not just thrillers, but narrative filmmaking as a whole. The greatest irony of You Were Never Really Here is that once you’ve seen it, the experience will smoulder long in the memory. 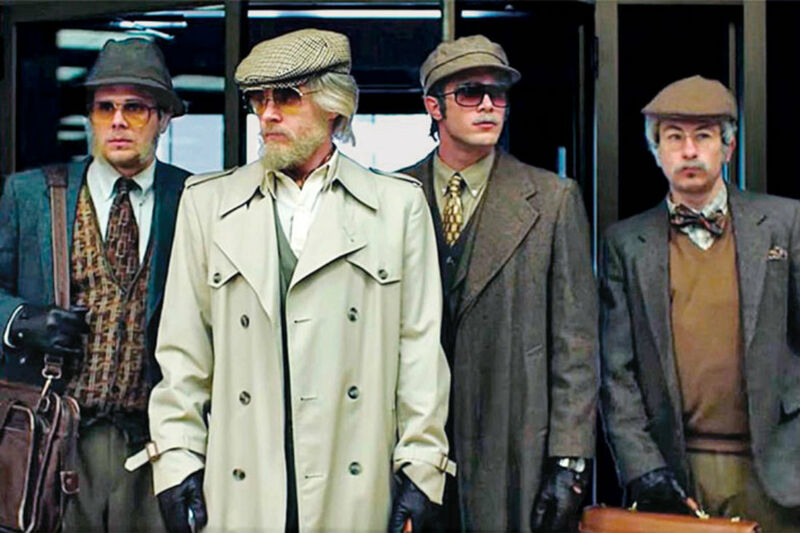 Despite glowing reviews and widespread critical praise, American Animals, like so many great cinema releases, failed to garner the attention its absurd tale of real life robbery deserved. American Animals recounts the audacious attempt by four students in 2004 to rob Transylvania University library’s rare books collection, including the extremely valuable edition of John James Audubon’s The Birds of America. Director Bart Layton, in his fictional feature length debut, subverts traditional storytelling methods by interspersing the narrative via interviews with the real-life perpetrators and in the process muddies the waters of absolute truth and objective recollections. The two main instigators of the heist, Warren and Spencer, constantly contradict each other’s retelling of events which only adds to the madness of the whole situation. As well as a clever narrative ploy, the introduction of the Warren, Spencer and the other real life counterparts creates a vital link between fiction and reality. American Animals seems too ridiculous to be real, but through the evidence of participant testimonies the viewer both buys into the plausibility of such a hair-brained scheme and acquires a great deal of empathy and connection with these misguided students. Evan Peters’ performance as Warren is the daredevil driving force of the film, while Barry Keoghan’s Spencer is the apprehensive instigator that mirrors the audiences’ own trepidation. The fact Warren and co begin watching heist movies en mass to begin their planning exemplifies the reflective nature of Layton’s film, examining and subverting the very nature of the heist genre. The very fact that the heist is being planned by students in their dorm rooms rather than criminal masterminds or violent outlaws is what makes American Animals such an involving yarn. We find ourselves trapped between Spencer’s fearful admissions and Warren’s complete belief in danger and excitement, a moral dilemma we can all sympathise with. I’m not one for space travel (unless of course its Stanley Kubrick’s foray into the great beyond), but First Man blew me away. Like Dunkirk or The Revenant, First Man is another bold reclamation of the blockbuster spectacle and experiential cinema. Chazelle, who transformed jazz drumming into a ferocious blood sport, once again flexes his technical muscles to portray Neil Armstrong’s ascent into the moon as a white-knuckle ride through the heavens in a rattling tin can. The perilous nature of space travel is at the heart of First Man. Crisis is always unnervingly imminent but never obvious, instead it lingers somewhere outside the privilege of our vision leaving us racked with apprehension with every test flight. Chazelle’s decision to limit our field of view, there are no external establishing space shots, coupled with a ratcheted cacophony of mechanical sound design makes First Man an immersive representation of space travel. Far from a clinical exercise in technical filmmaking, Chazelle critically examines the merit of space travel by contextualising it with personnel, political and ideological costs. Gosling excels as the stoic astronaut, Chazelle’s maximising the actor’s natural affinity with introverted masculinity, hellbent on reaching the moon to exercise the grief of a dead son. The ever excellent Claire Foy as Armstrong’s wife channels the frustrations of a generation ignored for a childish pursuit of the stars. Rather than the usual celebratory air of human triumph that accompanies cinema and space, Chazelle powerfully presents it for what it really is; dangerous and hollow, but that takes nothing away from the sheer physicality of First Man as a cinematic event. Forty-two years after scripting Martin Scorsese’s Taxi Driver, Paul Schrader has returned to the same dark, tumultuous stomping grounds. Schrader shifts Travis Bickle out of the driving seat and off the squalid urban streets of New York and into a dog collar amongst the leafy suburbs of New York State. Pastor Ernst Toller (Ethan Hawke) may seem far removed from vigilante taxi driver Bickle, but such distances are merely superficial. Toller, like Bickle, is a war veteran, but his descent into the darker recesses of his own mind are not from PTSD, but seem to stem from the corrosive influence of unforgiving, uncaring, greedy and alien world. Schrader, aware of his own legacy, repositions ‘God’s lonely man’ as an impending implosion against immoral corporations, whether that be environmental destruction or the crass, commercialised church of Pastor Joel Jeffers (Cedric The Entertainer). First Reformed is an examination of a crisis in faith through a man who has dedicated his life to a blind faith in his religion and his country. While Scorsese opts for pure nihilism, Schrader indulges his more transcendental whims adding a surreal edge to proceedings and offering a glimpse of redemption in the form of wide-eyed and pure Mary (Amanda Seyfried). Hawke is the ideal vessel for this descent into a faithless existence, his assured mannerisms paving the way for anger and uncertainty, as he leads us to direction that both terrifies and excites us. 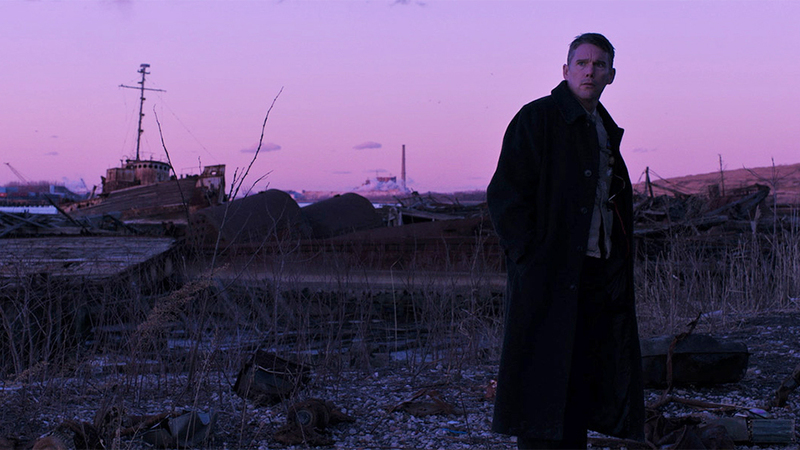 First Reformed’s compulsive closeness to Hawke creates an all-encompassing claustrophobia that refuses to allow us deviation from Toller and forces us down unavoidable climax. This is an intense, political and personal, character driven cinema that feels as much as vital as it is shocking. I saw somebody on Twitter describe watching Roma on Netflix as the equivalent of drinking champagne out of a urinal and I’m inclined to agree. Cuarón’s Roma should be seen on the biggest cinema screen possible – something that has been disappointingly difficult to achieve. The debate around Netflix’s distribution policies is one for another time, so let us just be grateful that they saw fit to bequeath Cuarón with both the resources and creative freedom to make Roma. 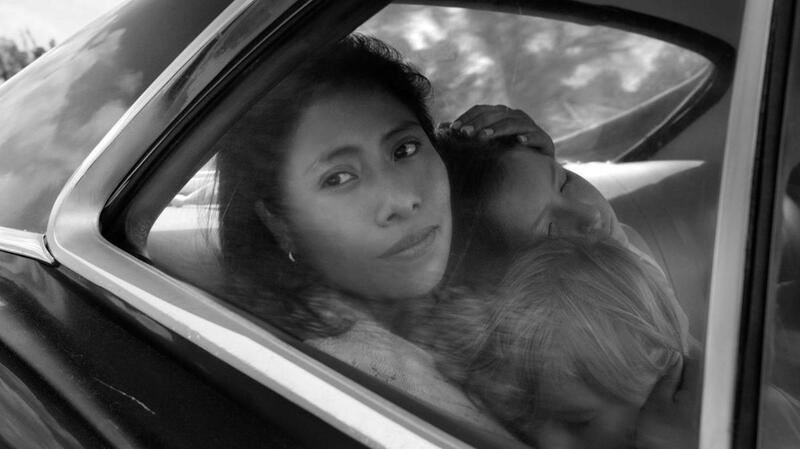 Set in Mexico in 1970, Roma balances the micro-narrative of maid Cleo (Yalitza Aparicio), as she juggles personal turmoil with servicing her upper-middle class employers, and the grand-macro story of Mexico itself – vibrant, chaotic, exciting and on the cusp of revolution. Cuarón is renowned for his staging of the spectacular and Roma is not short on spectacular monochromatic compositions, however his greatest trick is to perfectly harmonise the personal with the national. Cleo’s triumphs and tribulations are magnified and foreshadowed by the Mexico all around her. For example, when Cleo finds romance with Fermín (Jorge Antonio Guerrero) in the back of the ornate cinema auditorium its future is immediately undermined by the fantastical fictional illusions occurring over their shoulder. Taking cues from the Italian greats of Fellini and Antonioni, Cuarón conjures a living, breathing Mexico where life, in all of its absurd manifestations – including human cannonballs and mass martial arts gatherings, reigns free bubbling in and out of frame. The use of 70mm allows Cuarón the scale to conjure such a vivid canvas of images and compositions, and therefore the ability to tell his story in almost exclusively visual means. It would be easy to lose the viewer in such a circus of images, yet through the humble, sympathetic figure of Cleo Roma is firmly anchored at its emotional core. There is no detached spectacle of Gravity found here, instead Cleo’s journey is emotionally rich and devastatingly bleak at times. Roma, through Cuarón’s personal and professional artistry, is a reminder of the overwhelming force of cinema as well as its acute intimacy. Occasionally a film appears that conducts a symphony of perfection, every separate element operating at its peak potential and chiming collectively to transcend their individual excellence. 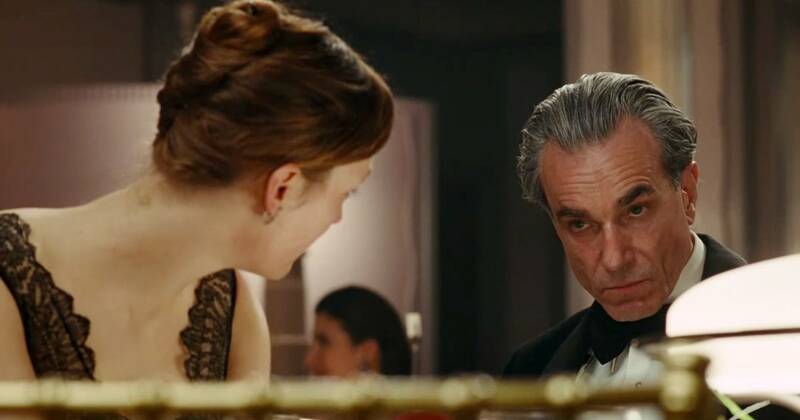 From Anderson’s singular vision as writer, director and cinematographer to the astonishing acting triumvirate all the way to Johnny Greenwood’s deftly rich score, Phantom Thread is a cinematic masterpiece. In supposedly his last ever role Daniel Day-Lewis once again reasserts himself as not just one of the finest actors of a generation, but frankly in cinema history. As dressmaker extraordinaire Reynolds Woodcock stitches together a contradictory charismatic force defined by outbursts of infantile volatility, pure artistic genius and suave sophistication. With Day-Lewis on such ferocious form it would be easy for his presence to dominate proceedings, but appropriately Vicky Krieps and Lesley Manville, as intrusive outsider Alma and stoic sister Cyril respectively, more than match him. In a re-working of the conflicts found in Hitchcock’s Rebecca and Losey’s The Servant, Phantom Thread transforms the resplendent Georgian townhouse into a warzone where battle lines are drawn on sexuality, class and artistic temperament. The subversive politics at play are enriched by the light touches of Anderson. His combative, often hilarious, dialogue and use of divine natural light to flood the lavish interiors offers a necessary levity that offsets the fraught, escalating tensions. Anderson is master craftsmen, but the likes of There Will be Blood and The Master can feel unrelentingly dour and draining in their demand for seriousness. In contrast Phantom Thread is a buoyant and revitalising. Even in its most bleak moments it never fails illicit a sense of joy and wonder through its sumptuous melodrama. Just as Reynolds Woodcock designs the most beautiful, hypnotic gowns available, Anderson has designed the greatest cinematic triumph of 2018 fit for everyone.